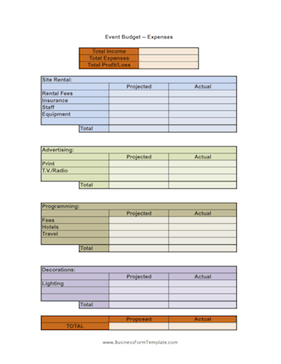 Keep track of all the costs of your event with this table. Room for projected and actual costs of site rental, decorations, and more. Excel versions has formulas already embedded for easy calculation of cost.